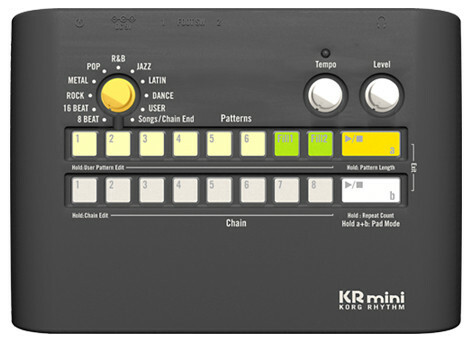 Caixa Ritmos Korg KR Mini Rhythm. 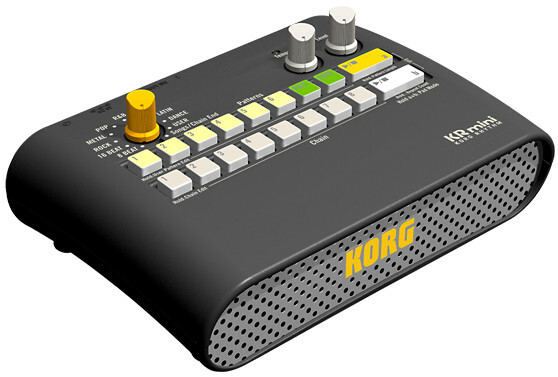 Electrónica: Padrões: User (6) e Preset (54); Fill In: 2 para cada padrão (total 120); BPM: 40 a 120. Woofer: Speaker de 2W. Alimentação: Alimentador (não incluído), Pilhas (incluído). Cor: . 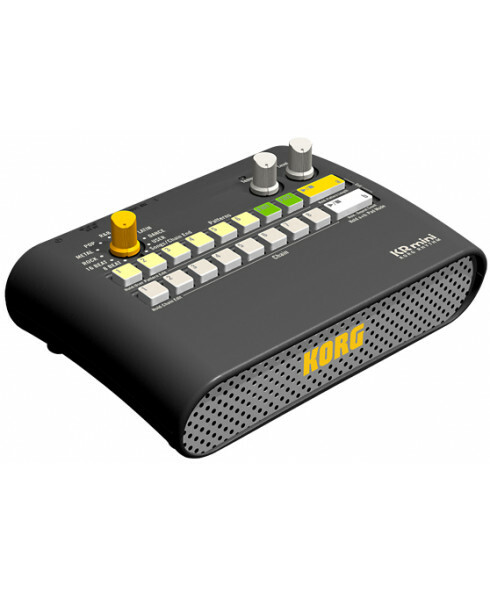 The KR mini - an easy, simple and compact rhythm machine with a built-in speaker and optional battery power for play-anywhere convenience. It’s a great companion for practicing and performing with guitar, bass, keyboards, winds, or any type of instrument!